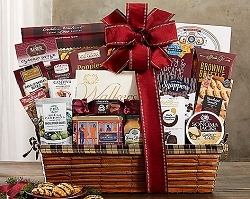 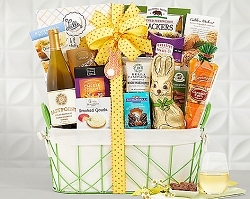 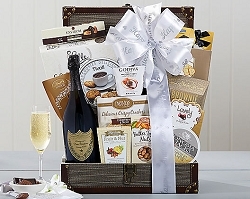 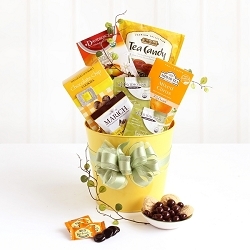 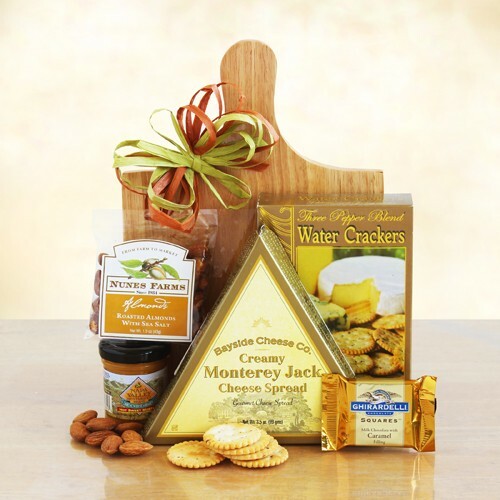 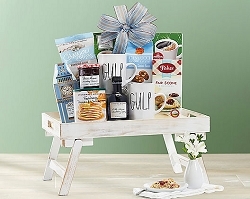 Send this Savory and delicious gourmet favorites Gift Basket! 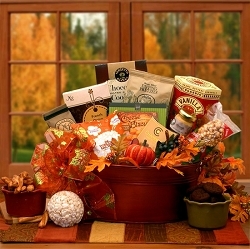 It will surely impress those with delectable taste. 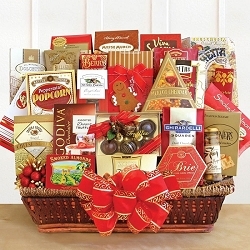 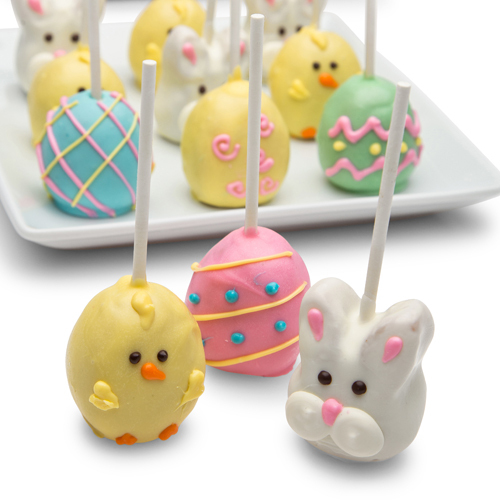 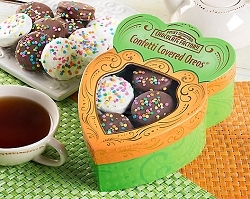 Features favorites like Lindt chocolates, smoked almonds, butter toffee caramels and more. 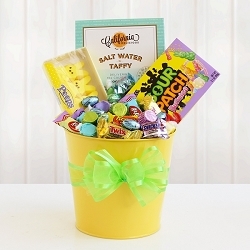 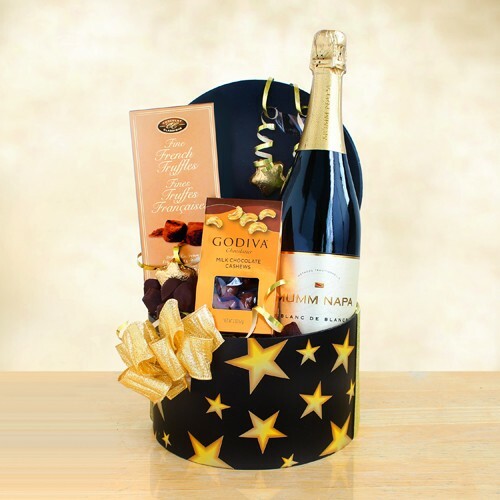 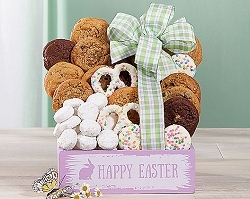 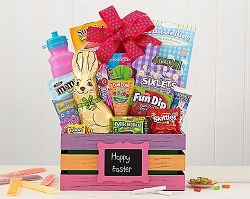 This beautiful gift is finished with your sincere card message and tied with a hand tied bow. 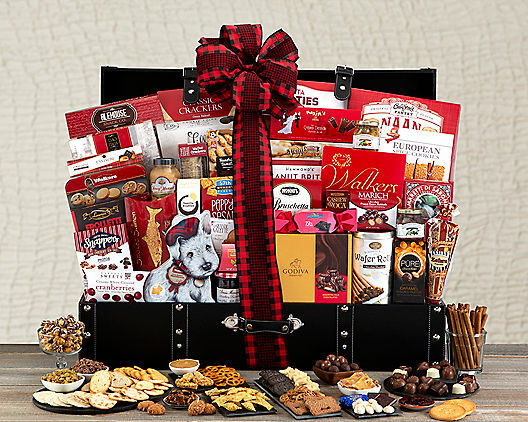 Gift Includes: chocolate salted caramel cookies, butterscotch candies, kettle popcorn, Highland select tea, smoked almonds, Italian herb creamy cheese dip, Ghirardelli chocolate square, Lindor white chocolate truffle ball, Lady Everton butter toffee caramels, Godiva classic milk chocolate bar, snack miz, cappucchino, hot fudge brownie sourdough bavarian style pretzel dipping sticks a dark stain classic wood chip basket.